Liublu, Sept 2018. THC levels do vary from one grow to the next. Grow room conditions, nutrients, grower experience, temperature etc can all play a significant role in the final THC level. 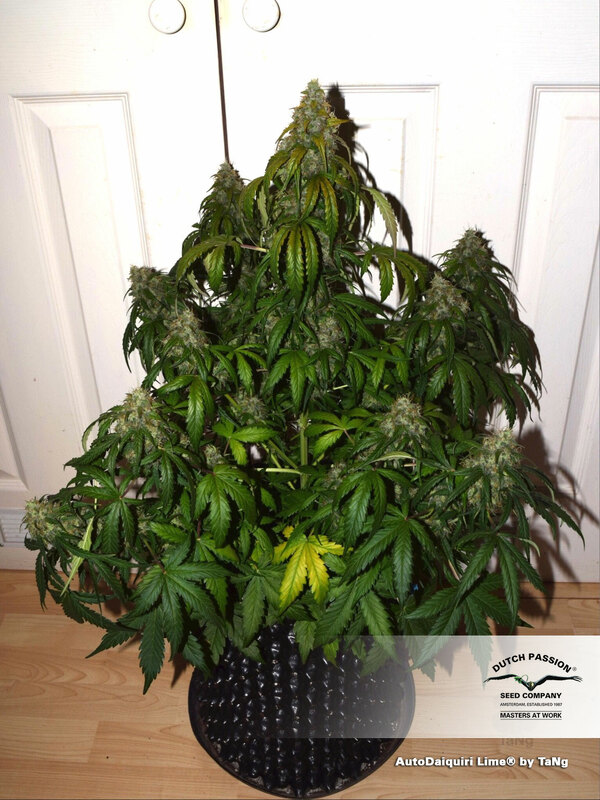 But in the hands of a good grower, you can expect levels of 15-20%. Good luck! 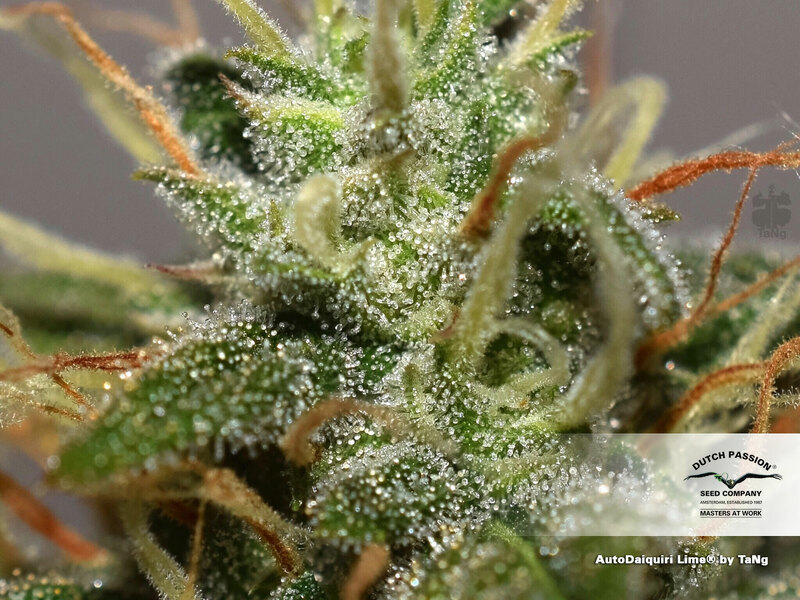 hey im back since my last report trichs started forming and that gave me a nice idea of the aromas they have going on and i must say that my first impression of the plant i mentioned before, couldnt be more wrong ... the flowers really have that limey sweet funk going on !!! oh and they are huge plants also, they seem to like 100% coco and daily feeds... amazing strain(s) you guys have ... I expect to get at least 120g per plant !!! but ill post a final report as soon as i can :) keep up the good work! The phenotype I had grew extremely well outdoors in the UK (lat 52.5). She grew very tall, around 4ft/1.2m (almost too tall security wise). She was germinated end apr, outside and transplanted into final pots by mid may (few inches tall, around 3 weeks old) and was harvested 1st of aug (could have gone a week longer but I was going on holiday that day) Used BioBizz Light mix then All mix soil, Bio bizz grow + bloom + topmax, extra molasses, insect frass (in soil mix, dressed top soil & foilar spray. Also helps prevent mould, had very little problems since using it & seems to stop stem rot from progressing when sprinkled on affected areas), nettle tea in veg and added live insects from garden (worms mainly). 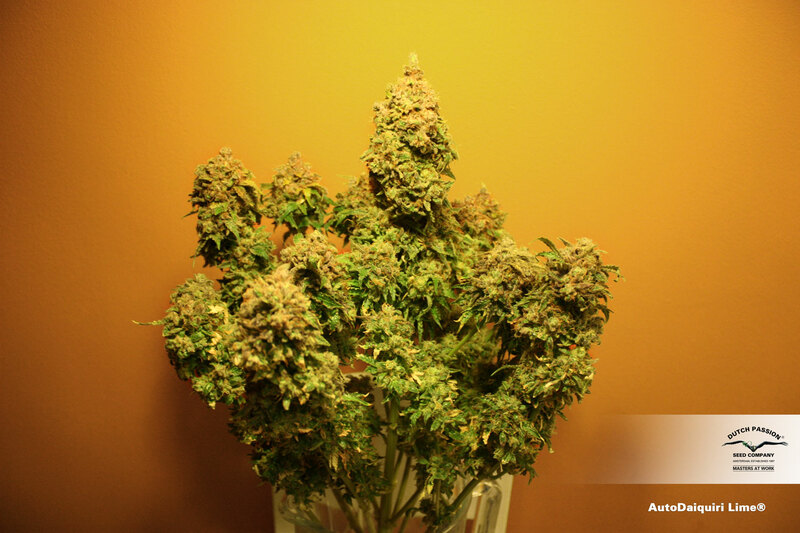 The buds were surprisingly dense and compact while growing and looked indoor grown! 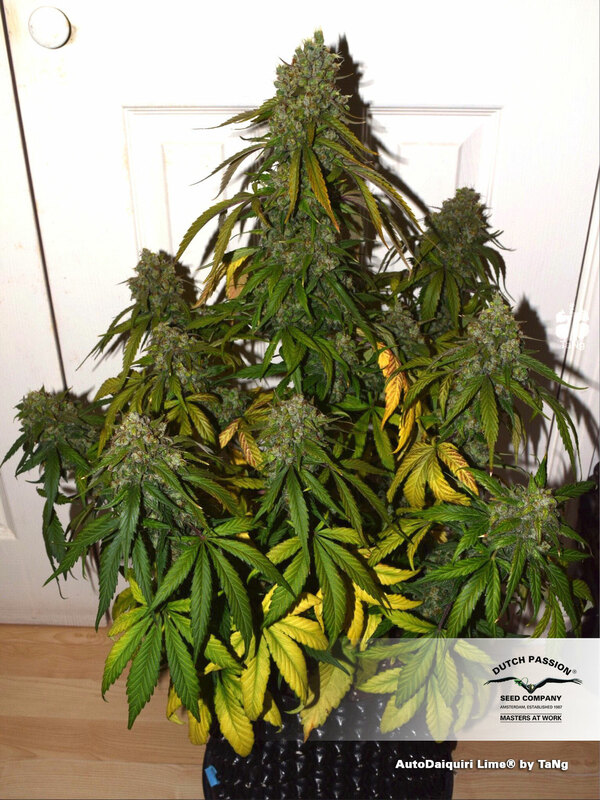 Even more surprising was the mould resistance, she was mould free till harvest day, other than a few spots of pm on a couple of leaves after humid weather and some stem rot that appeared while drying. Did have a caterpillar problem that could have been prevented, they loved burrowing into the smaller dense buds but were easy to catch and despite that she was pest free other than helpful spiders. The dried buds look compact and are covered in orange hairs with enough resin to shine through, not too leafy, nice bag appeal. 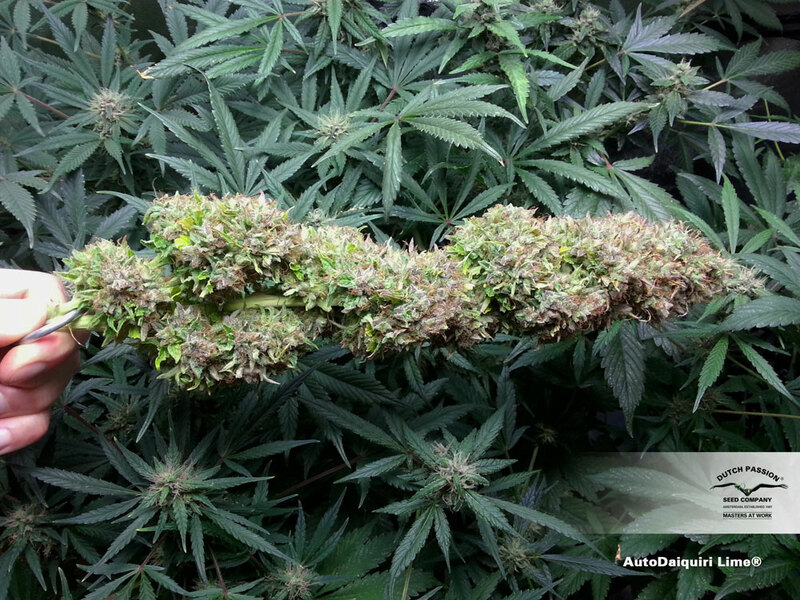 She had a strong smell from start of flowering to finish, citrus lime with pungent lemon skunk/diesel/sour aromas. Certainly a favourite of mine. The flavour carries similar notes to the smell but hasn't cured one enough for the full taste to come through. She has a strong high, definitely sativa & becomes a more balanced relaxed hybrid effect later on but i can't describe much more than that haha Very impressed with potency compared to other autos I've grown, probably the strongest yet :) Yield was impressive, id say around 2oz maybe up to 2.5 but buds haven't been properly manicured & weighed. 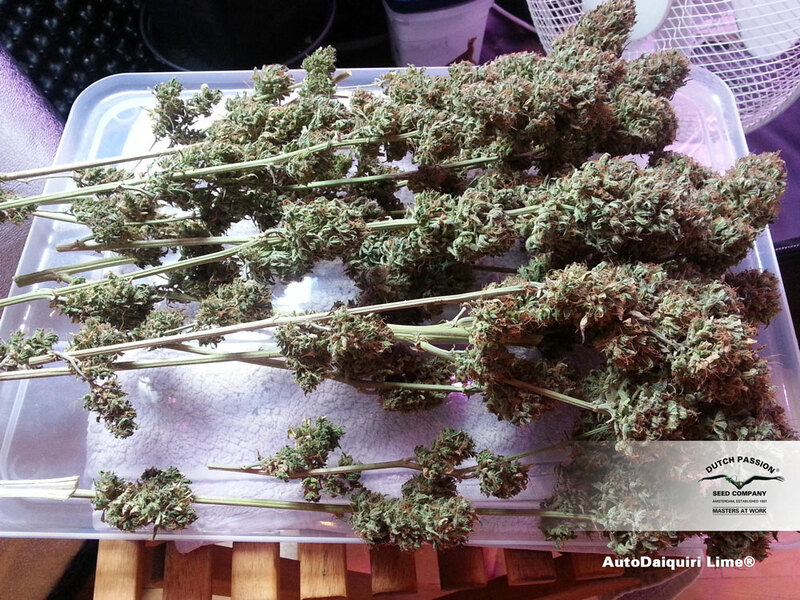 Top bud was 5g and on average the larger buds weigh 0.7-1.8g, with smaller buds 0.3-0.6 and are still dense. Big thanks to Dutch Passion for a productive summer ;) & I recommend that everybody buy this strain! Blesster - 31/7/2016. With 3.5m you will need more than 250W HPS? 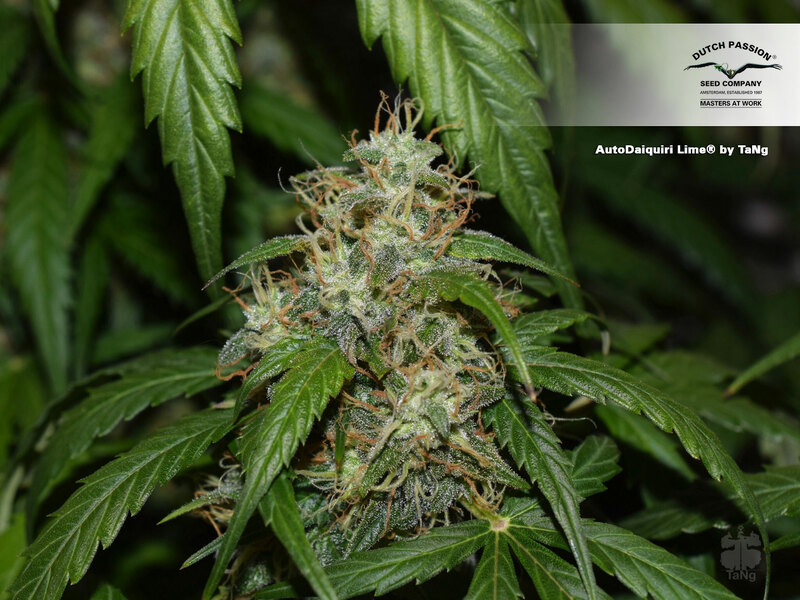 purple - 28th April '16 AutoDaiquiri is a sativa dominant hybrid, enjoy the smoke ! 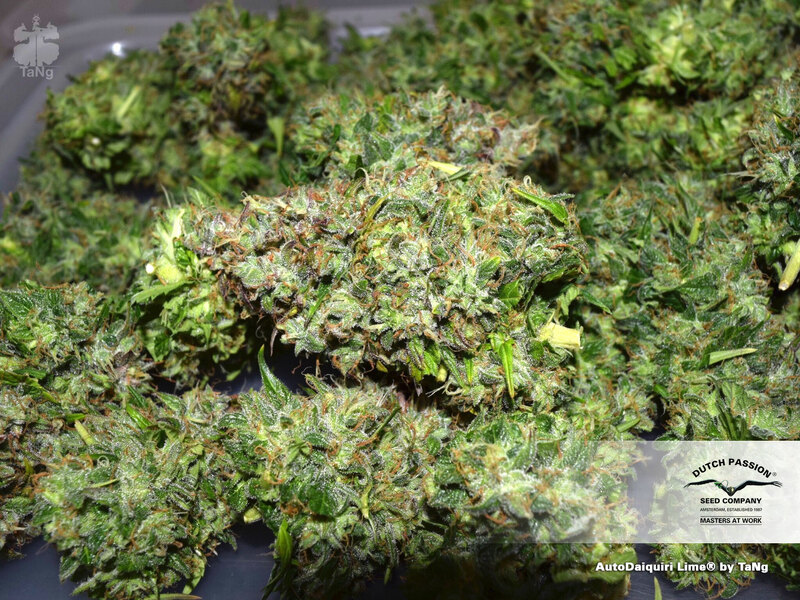 Hi Dutch Passion, Can you tell us if DL is more Indica or Sativa ? Well done on another brilliant hybrid! 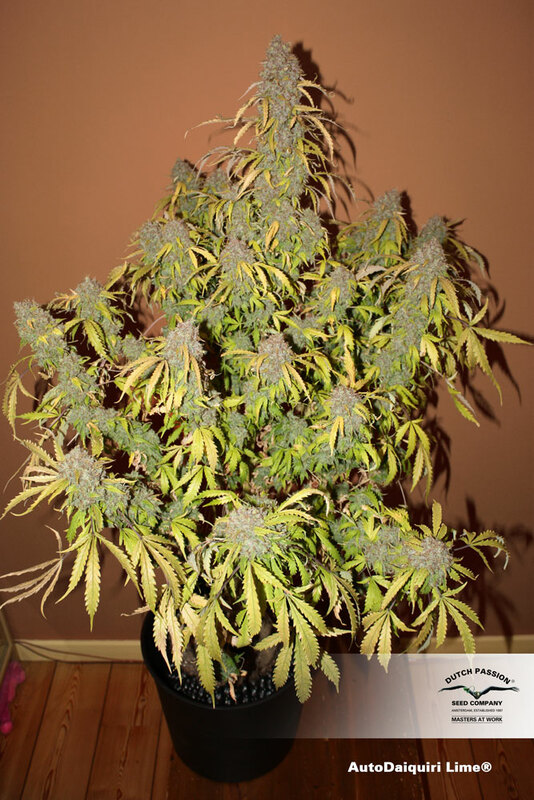 Dutch Passion....Hi again....i dont want tent advice, i want to buy your seeds but would like some idea of what size they grow to so i can order a tent? Hi Guys. Fairly new grower, growing dwc, i want to grow 6/8 autoflowers using a grow tent and 2/3 600w led lights. Im after some advice really on what size tent i should go for for this amount of plants? Really interested in high yielding autoflowers so any recommendation would be greatly welcomed! :-) Thanks in advance. Jack - AutoDaiquiri might not get to quite the same size as AutoUltimate. 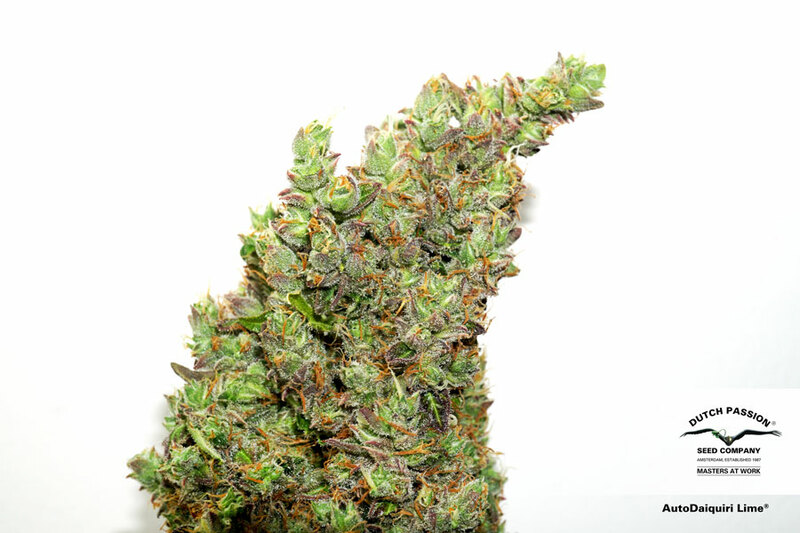 But don't let that deter you, the harvests are excellent and the potency and taste are worth experiencing. Frankie - in 10 litre airpots you might be looking at an average plant size of 75cm with occasional ones around a metre. 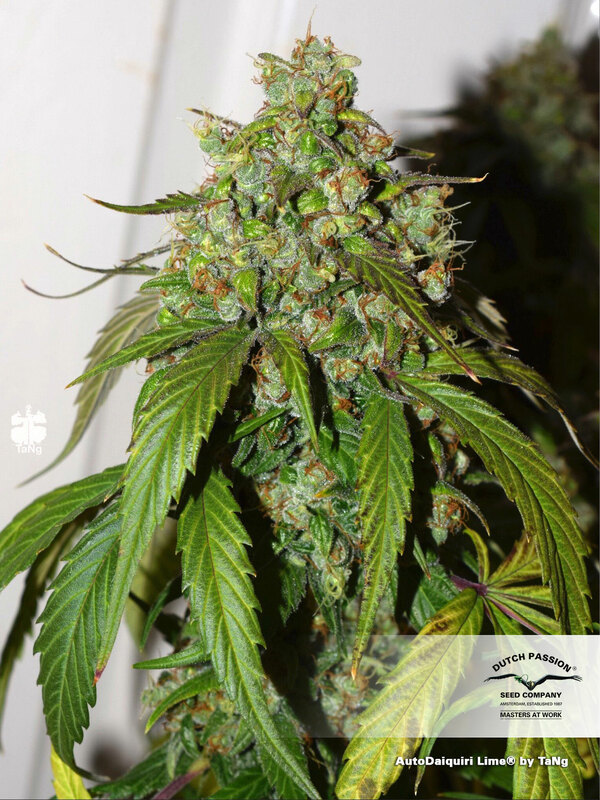 You will tend to get the typical Dutch Passion Auto structure of a tall central bloom surrounded by a ring of surrounding slightly lower colas's.